The GIRO D'ITALIA Verona stage jersey is designed to offer light weight and aerodynamics and illustrates the final stage of the Giro d'Italia, a time trial in Verona. The GIRO D'ITALIA Gavia Mortirolo stage jersey is made to offer lightness and aerodynamics. 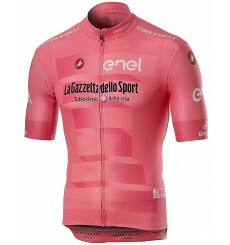 The GIRO D'ITALIA Maglia Rosa jersey is the leader's jersey of the famous Giro d'Italia. The GIRO D'ITALIA Maglia Ciclamino jersey is the point classification jersey of Giro d'Italia. The GIRO D'ITALIA Maglia Nera official short sleeve jersey celebrates the last rider in the general classification. The Maglia Bianca jersey of the Giro d'Italia by the official team supplier is worn by the leader of the young classification. 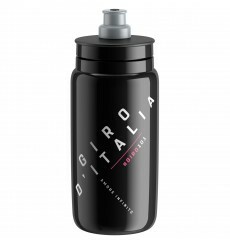 ELITE Fly GIRO D'ITALIA lightweight and compact waterbottle. Ergonomically designed cap, with silicone Push-Pull valve, soft and neutral to the taste. The GIRO D'ITALIA Climber's women cycling jersey is a lightweight jersey to make climbing easier, with leader's color of famous Giro d'Italia. Pink design cotton cap for GIRO D'ITALIA 2018. A perfect protection from the sun’s glare on hot days.